An LED is a ‘Light Emitting Diode’ and is a semiconductor device which converts electricity into light. LED lighting has been around since the 1960s but is just beginning to appear in off-road and commercial industry. LEDs are superior, in many ways, to HID and Halogen lights. LEDs are stronger and more durable, have a longer life, and are better at shining light in a single direction than HIDs or Halogen bulbs. Because of their directional output, LEDs have unique design features that can unfetter traditional light design ideas. This makes room for the customization that the off-road community requires. With Quake LED’s innovative technology you get powerful light output with much lower amp draw than HID or Halogen lighting. LED lights are rapidly transforming the entire lighting industry due to their extremely high energy efficiency. Quake LED is leading the way in this emerging, transformative, evolving industry and is proud to produce the best that LED technology has to offer. LED lighting is the future and we are here to bring the future to you! 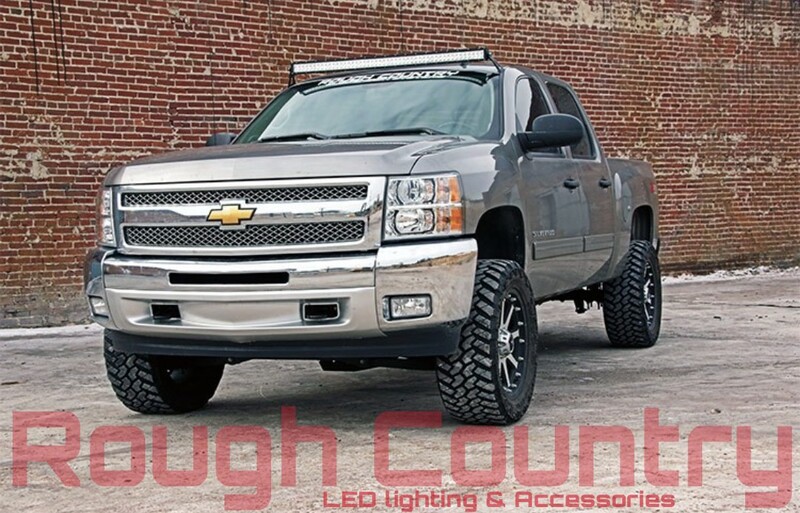 Rough Country’s LED Lighting Systems offer everything you need to complete your dream build. Our lineup of rugged off-road lights come with a wealth of high-quality features; including powerful CREE LED technology, Aluminum housings, and weather proof designs! All Rough Country Lighting Systems ship with our 3 Year Warranty covering the casing, bulbs, and wiring!